Writing on the blog Love German Books, translator Katy Derbyshire makes the call for a prize honoring women authors in translation. September 30th is International Translation Day (the date of the Feast of St. Jerome, the Bible translator considered the patron saint of translators). And while there are several awards given honoring books in translation, the question has recently been asked: Why isn’t there an award specifically for women’s books in translation? Writing for the blog Love German Books, Katy Derbyshire writes that since attending the panel discussion “Where are the women in translation?” at this year’s London Book Fair, she’s been wondering how it might be possible to “raise awareness of women writers in translation,” noting the simple fact that more books by men get translated into English than books by women. “Since its inaugural award in 1996, the Orange Prize (now the Bailey’s Women’s Prize) has shown an unerring ability to celebrate and promote emerging writers who are now fixtures in the literary heavens. According to The Bookseller, the Orange Prize is a proven driver of sales, and libraries that promote the prize reported a reader survey in which 48% of respondents said that they had tried new writers as a result of the promotion, and 42% said that they would try other books by the new authors they had read. Yet, from its inception, the Award has been controversial, losing its first sponsor (Mitsubishi) and courting criticism from its own judges as well as reviewers and authors. AS Byatt called it ‘sexist… The Orange prize assumes there is a feminine subject matter – which I don’t believe in’, although the award does not stipulate gendered subject matter, and has rewarded historical epics, crime thrillers and experimental writing, genres often associated with male writers. “What I want is a women’s prize for translated fiction; a little sister to the Bailey’s Prize, for instance. It would raise awareness for great women’s writing from the non-Anglophone world rather than for great non-Anglophone writing by women. I know that’s a subtle distinction but I think it’s an important one. The Bailey’s Prize prompts debate every year through its mere existence, and every year people point out that women are still at a disadvantage in publishing. A women’s prize for translated books would use exactly the same arguments – except that the translation stage actually amplifies this disadvantage, meaning that significantly fewer books by women are available in translation than books by men. In 2013, about 25-35% of new translated fiction published in the USA (the only figures we have) was written by women. A women’s prize for translated books would highlight those books that do make it through”. And at translationista.net, Susan Bernofsky is on board with the idea. After a look at VIDA’s rather infamous reports on the percentages of women represented both in major U.S. literary awards and in literary magazines (scarily low), she asked the question: and what about translations? “No one’s crunched those numbers yet with a VIDA-like thoroughness (though Alison Anderson set the ball rolling last year in a Words Without Borders dispatch). Now the ball is rolling. 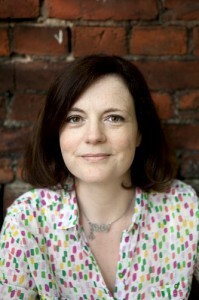 At the London Book Fair this year, Sophie Mayer chaired a panel sponsored by English PEN entitled “Where Are the Women in Translation?” In her report on the panel (which featured Anderson as well as For Books’ Sake editor Jane Bradley and novelist Krys Lee), she notes that most of the people who attended the panel were women, prompting her, as she reports, to realize that “the question wasn’t ‘Where are the women in translation?’ but ‘Where are the (often) male gatekeepers prepared to listen to us and help make change?’” The under-representation of female authors in the books published in English translation – Anderson eyeballs the figure as 26% women – may have to do, in many cases, with the relatively small numbers of women getting published in the countries whose literatures we are translating. But is that the whole story? Anderson’s speculations on the topic are very much worth reading. Where’s the Translation VIDA Squad who’s going to look into this? It would make a great project. I hope someone takes it on.